Stonehenge new theory: music to their ears. A new theory has been put forward for why Stonehenge was created. Steven Waller, an American researcher, believes that its primary purposes was not visual, but aural: along with Neolithic cave paintings, it was designed for its acoustic properties, in this case the interference the stones would cause to the volume of the music. We have another theory, however. It is that Stonehenge was in fact built by ancient practical jokers, for no better reason than to drive future experts to distraction. One can picture them giggling to themselves as they laid false trails, safe in the knowledge that they would provide fodder for endless wild hypotheses about their true motives. Granted, it seems like a lot of bother to go to. But the fact that we are still trying to solve their riddles, thousands of years later, suggests it was worth the effort. Halloween is a day of tricks, treat, sweets, pumpkin carving, cider drinking and costume wearing; but the holiday has evolved immensely from its pagan beginnings. 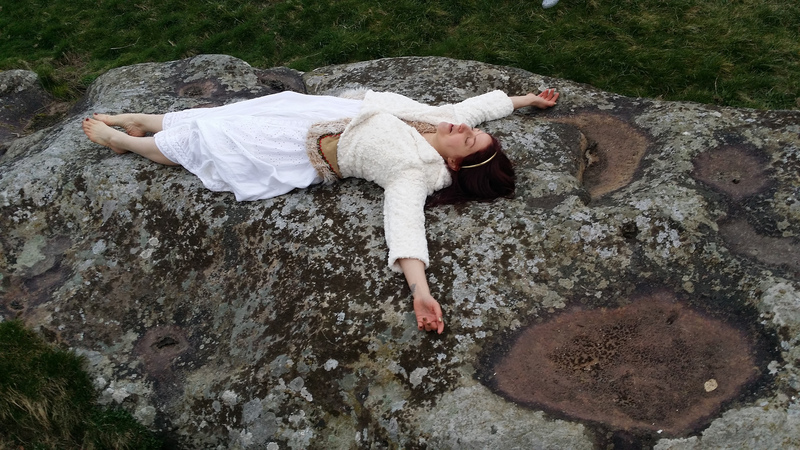 Human Sacrifice at Stonehenge by ancient and modern pagans? It has never been proven that there were human sacrifices by Celtic peoples to celebrate Samhain (sow-en). However, we do know that the Celtic peoples had a great spiritual reverence of Samhain and it was akin to how one views Easter and many of the other “holy days” today. Stonehenge is a well guarded public monument. Hundreds of Thousands of people visit this incredible site yearly. I have no doubt that it would be impossible to sacrifice anyone or anything at this monument without being caught. 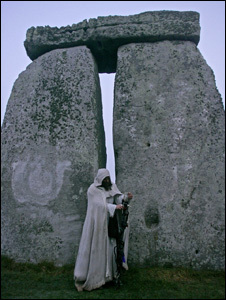 Besides, in the last 30 years, I have never heard of any sacrifice being committed at Stonehenge during Halloween, or anytime..
believed that the veil between the world of the living and that of the dead is at its thinnest on this night. In the ancient past, it was commonly believed that certain kinds of knowledge were available at the time of Samhain, a night when the sidhe or faery people would come forth to walk amongst mankind. Over 2000 years ago, the Celts, a people who lived in what is now the United Kingdom, Ireland, and northern France, celebrated their New Year on November 1st. The New Year was associated with the end of summer and harvest season, and the beginning of cold, destructive winters. The Celts would often kill and eat weak livestock that they believed would not survive through the winter. 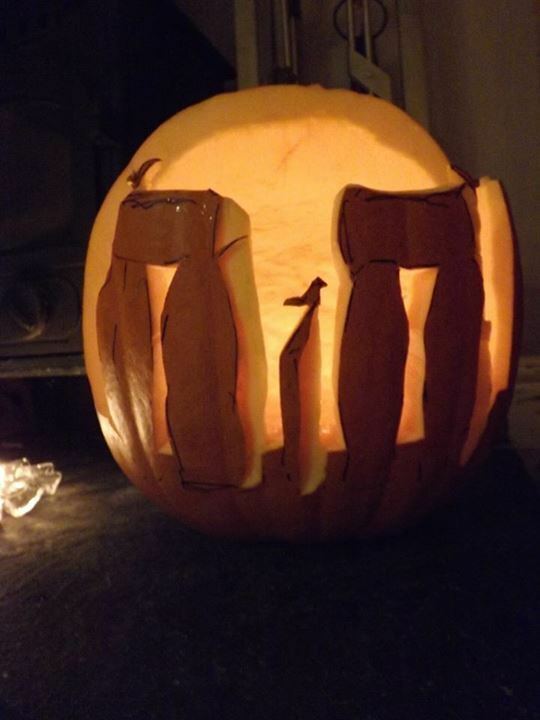 The Celts, who worshiped Pagan gods, commemorated this time with a festival called Samhain (sow-en). This time of year was associated with death for the Celts; they believed that the wall between the living and dead was thinnest the night before the New Year, which allowed spirits of all kinds to walk among the living. Many of today’s Halloween traditions derive from the Pagan practices of the Celts. During their last night of the year, all manner of order was forgotten. Men would dress up as women, and women as men; people would play pranks such as moving livestock to different fields, or moving gates and fences from their proper places. Since they believed that spirits of the recently deceased were most likely to emerge and cause trouble among the living, such as possessing people and ruining crops, many Celts would leave offerings of food and drink to the spirits, to either aid them to the afterlife, or ward them way. They would also feast and celebrate the lives of the deceased. People extinguished all of the fires in their homes in order to prevent evil spirits from haunting them. A central aspect of Samhain was the worship by the Druids, or Celtic priests. The Celts brought crops and livestock to the priests who would sacrifice to the Pagan gods in large bonfires, praying for protection during the winter. During these celebrations, Celtics would dress in animal heads and skins and read each other’s fortunes. One of the main influences of modern day trick-or-treating was the Celtic believe that faeries would roam about dressed as beggars and would go door to door asking for food. The belief was that those who helped the faeries were rewarded while those who didn’t were punished. Not only did the Celts believe the boundary between the worlds of the living and the dead dissolved on this night, they thought that the presence of the spirits helped their priests to make predictions about the future. To celebrate Samhain the Druids built huge sacred bonfires. People brought harvest food and sacrificed animals to share a communal dinner in celebration of the festival. During the celebration the Celts wore costumes – usually animal heads and skins. They would also try and tell each other’s fortunes. After the festival they re-lit the fires in their homes from the sacred bonfire to help protect them, as well as keep them warm during the winter months. 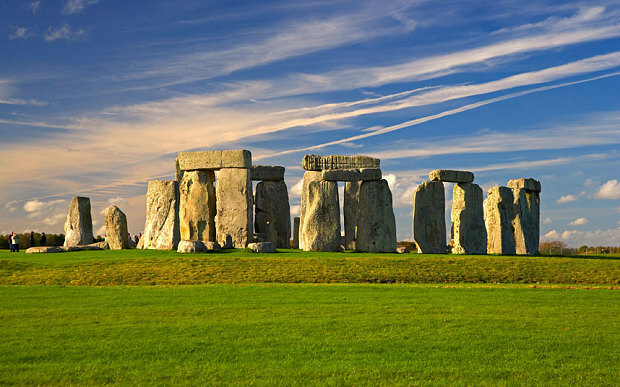 Stonehenge makes a great family day out during half term. Stonehenge now has a transformed visitor experience, with a new world-class visitor centre, housing museum-quality permanent and special exhibitions, plus a spacious shop and café. ‘Old ones’ reference links 8th century poem to Stonehenge? AN ancient poem believed to have been written about Bath could in fact be the earliest writing ever discovered about Stonehenge, according to an academic expert following a presentation last night at the Amesbury History Centre. Mediaeval language scholar Dr Graeme Davis believes an 8th Century Anglo Saxon poem called “The Ruin” could be the oldest known surviving text in the world to describe the monument. Although the original manuscript is damaged, Mr Davis has translated the poem and said he was surprised to find references to the standing stones as the “old ones”. Mr Davis is part of a team studying a constant spring at Blick Mead in Amesbury. He believes that the Stones and Blick Mead spring could be those referred to in the poem. The spring caught Mr Davis’ attention during recent visits to Amesbury and led to discussions with the Amesbury Museum and Heritage Trust over the interesting history of the area. 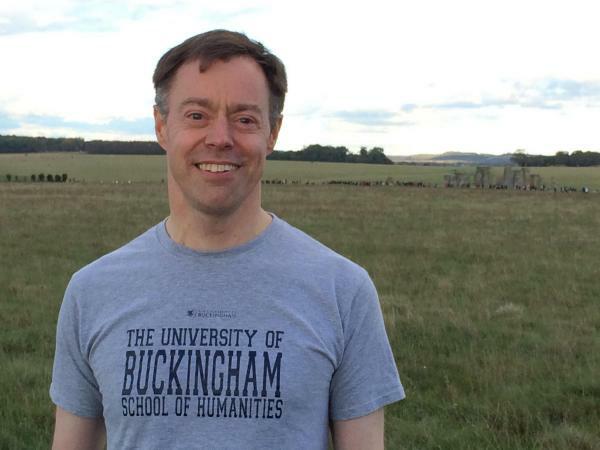 A spokesman for the trust said: “Graeme’s interpretation of this poem intriguingly focuses the mind on Stonehenge especially with the reference to a hundred generations passed and the naming of the Stones as “the elders” or “old ones”. “If the spring is indeed Blick Mead, it reinforces links and unlocks another clue to Amesbury’s significance in British History. The full translation can be found on the Amesbury Museum, Heritage Trust Facebook page and the hard copy can be seen at the Amesbury History Centre. Nick Clegg has said he wants the Government to sanction “diggers on the ground” to re-build the A303 highway before the next election. A road tunnel under Stonehenge is one of nine proposals with an estimated cost of £1.2 billion being scrutinised by Whitehall officials to ease the traffic nightmare on the road connecting the South West to London. The Government has signalled it will make an announcement during George Osborne’s autumn statement in December. The Deputy Prime Minister said he and Lib Dem Chief Secretary to the Treasury, Danny Alexander, will be pushing for improvements on the 110-mile “A303-A30-A358 corridor”, which starts near Exeter in Devon and finishes close to Andover in Hampshire, in negotiations with David Cameron and Mr Osborne. 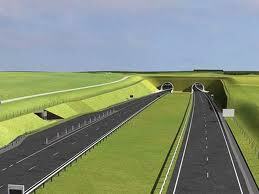 He said he was “very keen” to “push forward” with the A303. Mr Clegg said: “I can’t predict to you now exactly whether we will succeed in our discussions and all the sums involved, but that is something I would like to do even in this government. “If we can’t do that in this coalition Government I’m very clear that the fiscal rules (we advocate) about borrowing prudently for infrastructure investment once the books are balanced after 2017-18 is exactly the kind of thing that would permit us to borrow money on the Government’s books to invest in the A303. The Western Daily Press understands officials are working up a plan to upgrade the entire road in phases, with stages signed off in advance. Some fear Labour would scupper the upgrade given their lack of MPs in the South West. 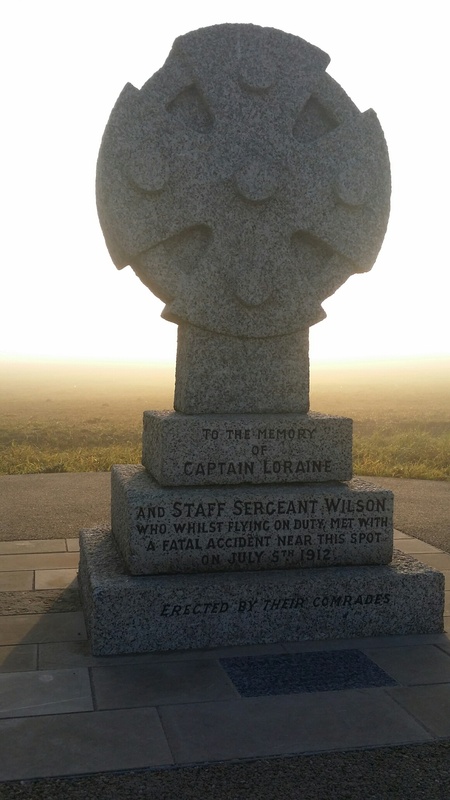 Salisbury Plain and the journey to the First World War. A new special exhibition is being launched at the Stonehenge visitor centre in November to tell the story of the Stonehenge landscape, its neighbouring communities and how they were dramatically altered by the Great War. During the First World War, the World Heritage Site was at the heart of Salisbury Plain’s military training ground and the Wiltshire landscape was dramatically transformed. A 25 mile area around Stonehenge became home to the largest complex of military training camps in the world, as soldiers dug intricate networks of trenches in an attempt to replicate conditions on the Western Front. This exhibition will open in November 2014. It tells the story of the Stonehenge landscape, its neighbouring communities, and how they were changed by the First World War. Visit the English Heritage Website and see ten of the exhibition objects and images in more detail. The Stonehenge Hidden Landscapes Project is an unprecedented initiative to survey a vast tract of land around the iconic stones. Now that the bulk of the practical work is complete, Carly Hilts spoke to Vince Gaffney and Chris Gaffney to find out more. Stonehenge could confidently claim to be one of the most-studied, and certainly most hotly debated, prehistoric sites in Britain. 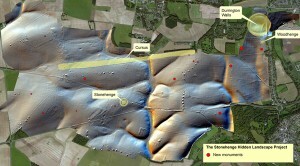 However, much of the local landscape, so important to any interpretation or understanding of the site, was largely terra incognita – until the launch of The Stonehenge Hidden Landscapes Project, the largest geophysical mapping survey of its kind yet undertaken. Begun in July 2010, and headed by the University of Birmingham and the Ludwig Boltzmann Institute for Archaeological Prospection and Virtual Archaeology in Vienna, the four-year Project has explored a massive 12 square kilometres around the celebrated stones, and revealed the footprints of hundreds of previously unknown features, invisible to the naked eye, including henge-like monuments, burial mounds, ditches, and pits spanning thousands of years. 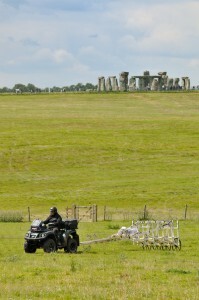 Clocking up 120 days in the field, the team used the latest non-invasive survey techniques – including magnetometry, ground penetrating radar (GPR), earth resistance surveys, and 3D laser scanning – to explore the Stonehenge landscape in unprecedented detail, allowing researchers to see features buried as much as 3m below the modern ground level. So far, eagle-eyed project members have picked out 17 shapes from the vast amounts of resulting data that are thought to represent Neolithic monuments roughly contemporary with Stonehenge, as well as field enclosures, barrows, settlements, and other signs of human activity ranging in date from the Bronze Age to the 20th century. With an ambitiously large area designated for investigation, the team called on other modern technologies to help cover the uneven terrain. Although hand-pushed carts were used to explore more difficult or sensitive sites, much of the project survey equipment was mounted on the back of quad bikes. This multi-technology approach has proven a particular boon in revisiting well-known sites, where a host of unexpected new details have been revealed. Around 3km from Stonehenge lies , the largest-known henge in the world at over 0.5km in diameter, and home to a Neolithic settlement that some interpret as a possible base camp for the builders of Stonehenge (CA 270). Although the site has been studied in detail during previous investigations, the recent survey identified traces of a previously unknown row of holes along the site’s southern border, which could have held around 70 posts or stones. Another enigmatic find comes from the adjacent site of ‘Woodhenge’, once home to a Neolithic timber circle. The chalk long barrow standing in the same field had long been known to archaeologists, and so it came as a complete surprise to discover that the monument seems to have a kind of forecourt in front of it – and that within the mound itself there once stood a massive timber building some 33m long. 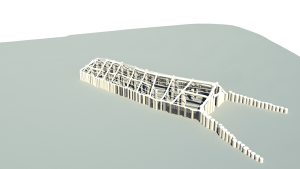 With the outline of its walls marked out by lines of holes that once contained huge wooden posts, the team has provisionally interpreted the building as a mortuary, possibly used in excarnation rituals. Over at the Cursus ­– the c.3km long Neolithic earthwork just north of Stonehenge, thought to predate the earliest phase of the monument’s construction by several centuries –exploratory work has revealed new links between the two sites, as well as potentially significant astrological associations. At each end of the Cursus, the team has identified a massive pit measuring around 5m in diameter. More excitingly, Vince said, if you stand at Stonehenge and look towards the Cursus on the Summer Solstice, the easternmost pit aligns with the rising sun, and the westernmost with the sunset.